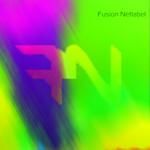 Fusion Netlabel was founded in 2009. Based in Russia, but is free in this World. The project is the publication of experimental music, having a mixture of different genres: Abstract, Dubstep, Glitch, Hip-Hop, IDM, Reggae, giving a new style called Fusion (Confusion).